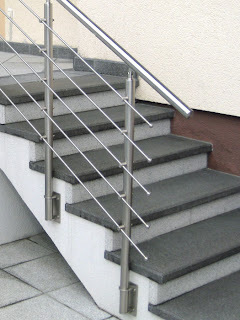 Choosing Banister End for Stainless steel handrails confirmed the styles to the homeowners. 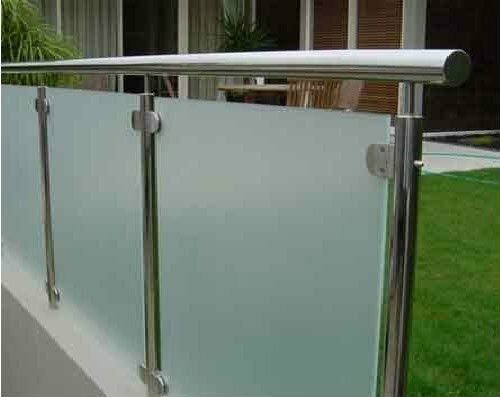 The styles of handrail as below will help you to choose the most suitable for your style. Three groove ends of stainless steel handrail. 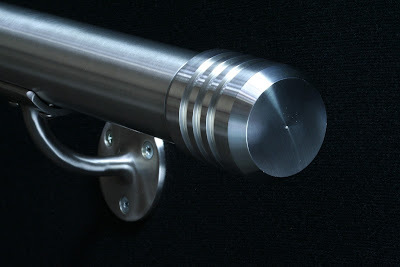 Another kind of Banister end of stainless steel handrail is handrail 3 Groove Ends. Do you think this sample is elegant? This style has all features of Multi groove stainless steel handrail above. 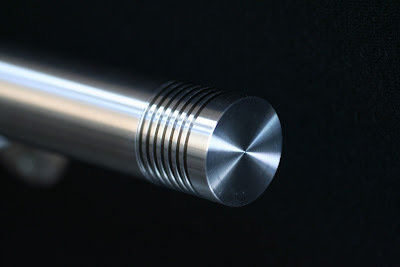 Larger image of 3 groove ends. 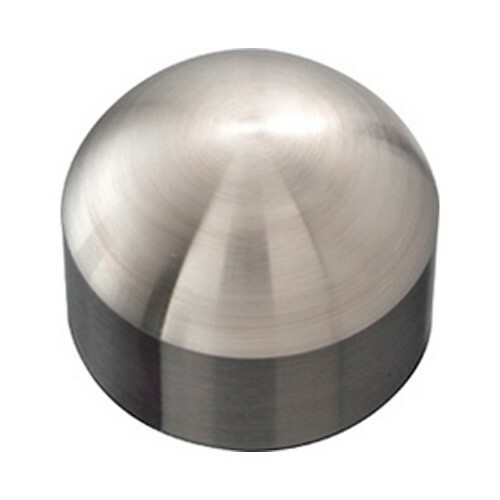 This product also called Stainless Steel Brushed Staircase Bannister Balustrade Hand-Rail - Domed Ends on Ebay. 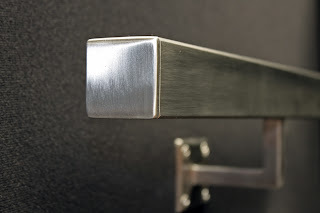 Flat banister end stainless steel handrail. 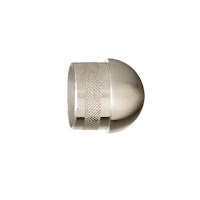 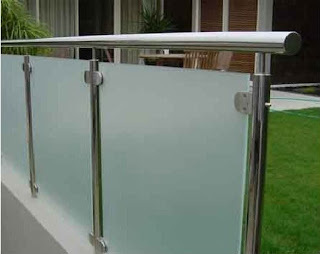 Flat banister end is the most popular stainless steel handrail end all over the world. Because of easy to fabrication, so its price is cheaper then 3 style above. 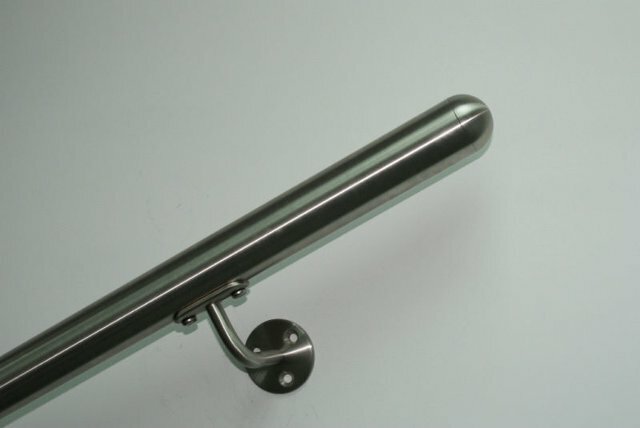 Flat end is applied for tempered stainless steel handrail as below images. 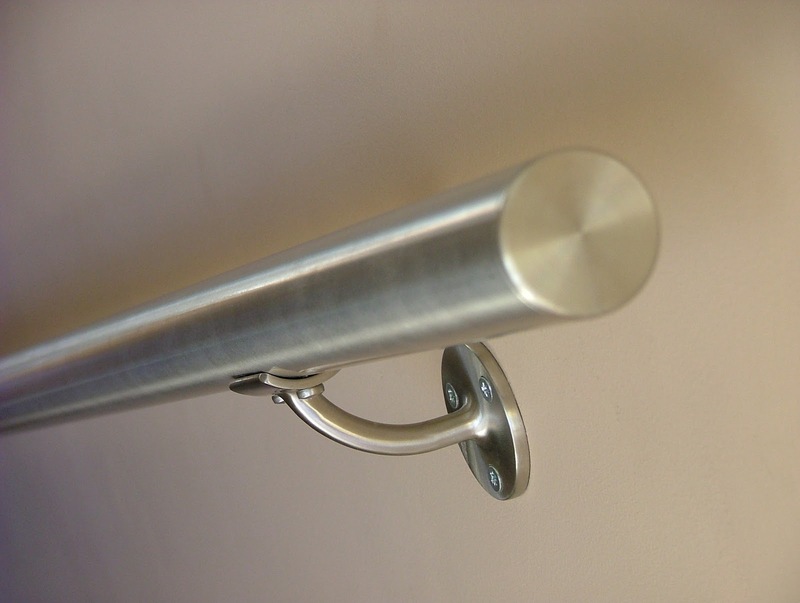 Flat end handrail mounted on the wall. 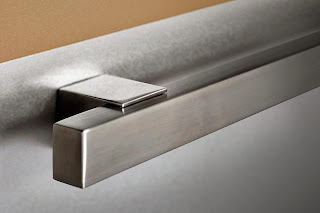 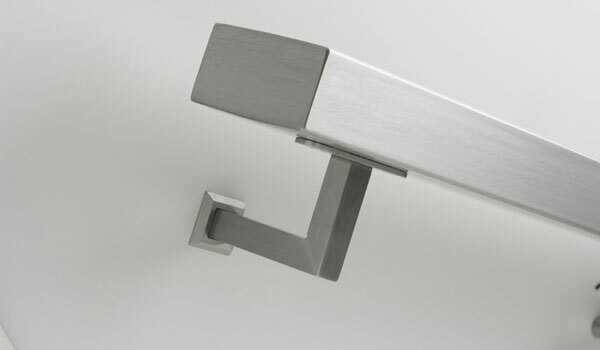 This style handrail was often made by 304 or 201 stainless steel, polished stainless steel or hairline on the surface.